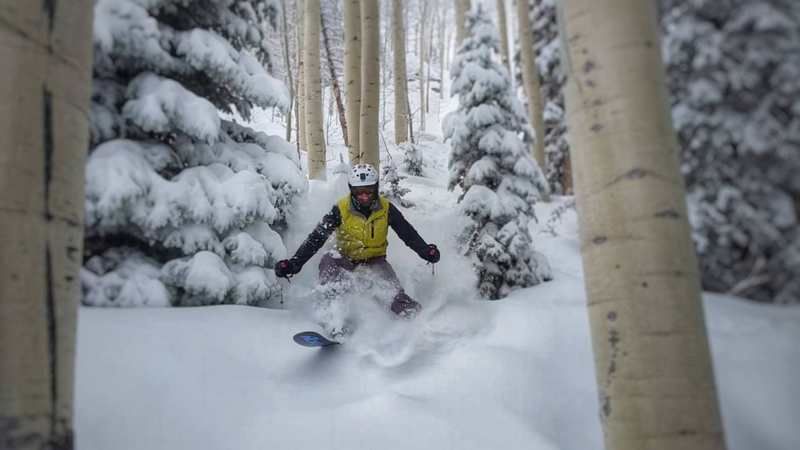 There’s only one thing worse than enthusiasm and that’s a lack of it – something that Nate and Steph Yarbrough clearly don’t suffer from. I came across this exuberant couple via Victron Energy dealer Battle Born Batteries® of Reno, Nevada, who pointed me to Nate and Steph’s YouTube channel – and very professional it is too. 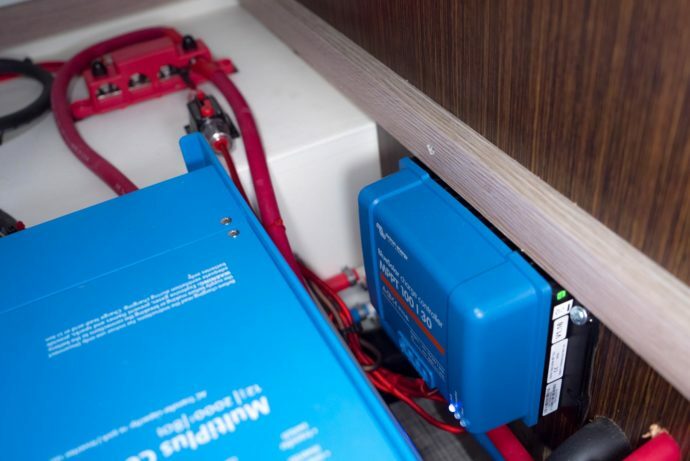 If you are considering a solar setup on your campervan, motorhome, RV and you don’t know where to start then this blog is for you with an install video and downloadable DIY guide – which includes parts, prices and a wiring diagram. 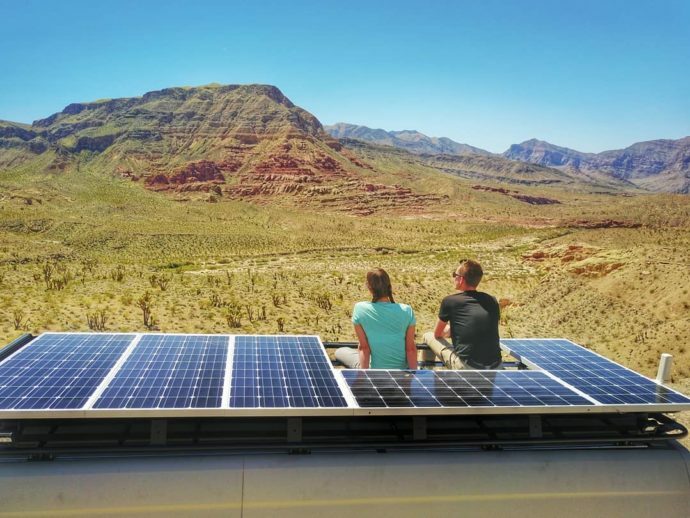 Realising that their own campervan with 825 Watts of power was more than most require, meant theirs was not your average install – so when Nate’s Mum said she was getting her own smaller truck camper and asked him to install her a more typical solar setup, who was Nate to refuse. Wisely he did as asked – like all sensible sons! But where to start. With support from Sean Nichols of Battle Born Batteries® the stage was soon set and Steph & Nate began to ponder and plan his Mum’s solar system installation. “Nate and Steph are a pair of high school sweethearts with an appetite for adventure. Throwing the ‘American dream’ out the window in 2015, this firefighter and accountant sold most of what they owned and hit the road…permanently. 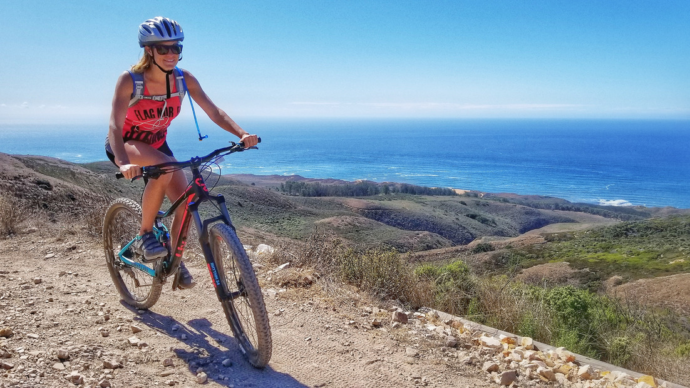 Since 2015, they have covered 29 US States as far as Alaska, 5 Canadian Provinces, and 1 Central America gem, Nicaragua. Nate and Steph travel not just to see, but to immerse themselves in the offerings of the local environment. They are always paddling, climbing, biking, backpacking, hot spring soaking, surfing, and diving into their next adventure. 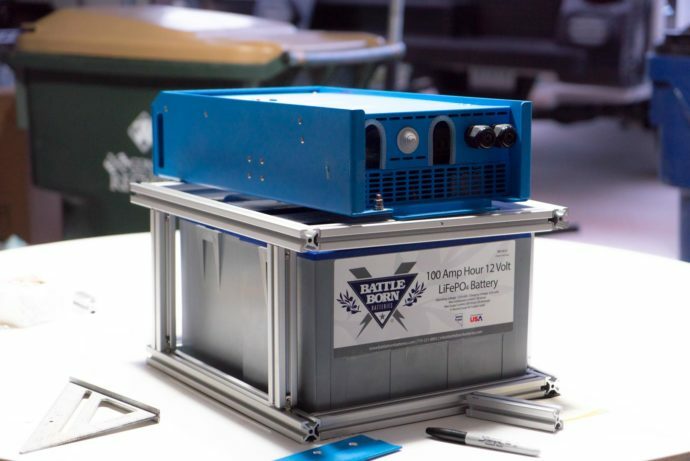 There are many companies that could supply the project’s battery monitor, solar charge controller and inverter/charger, yet Battle Born Batteries chose those key system components built and supplied by Victron Energy. 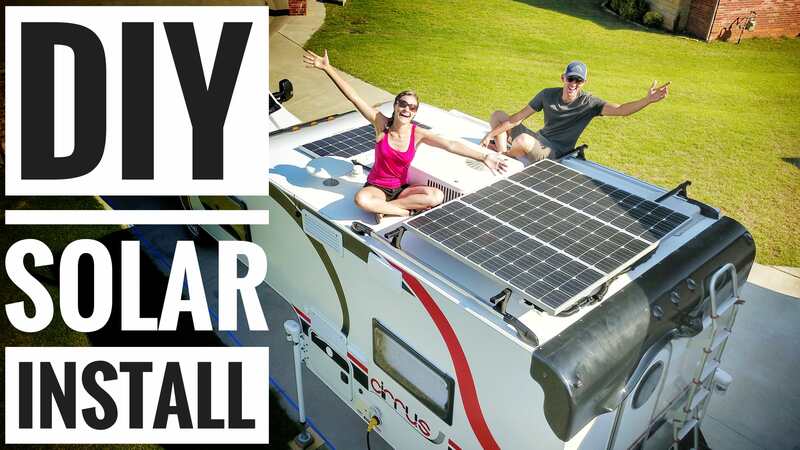 Camper Solar Setup Tutorial – How to Solar Power your RV, Camper Van, & Truck Camper. 1 x Victron Energy BlueSolar MPPT 100/30 Solar Charge Controller for 400 Wp Solar Panels. 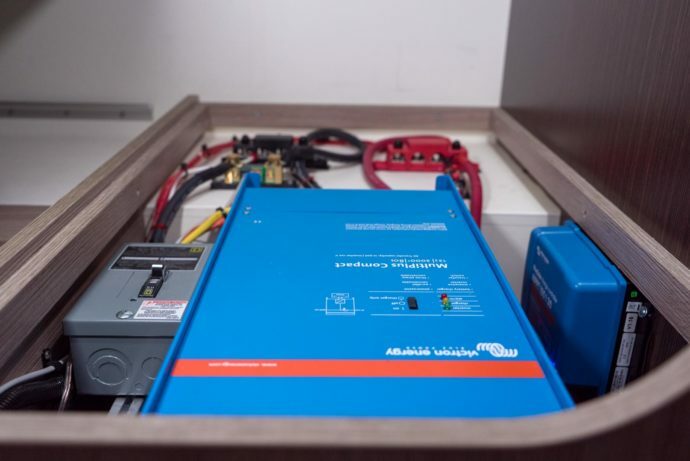 Note – Due to space constraints the Inverter/Charger had to be mounted horizontally above the batteries, but additional suction and extraction cooling fans were employed to alleviate any potential cooling issues from a horizontal and confined installation. 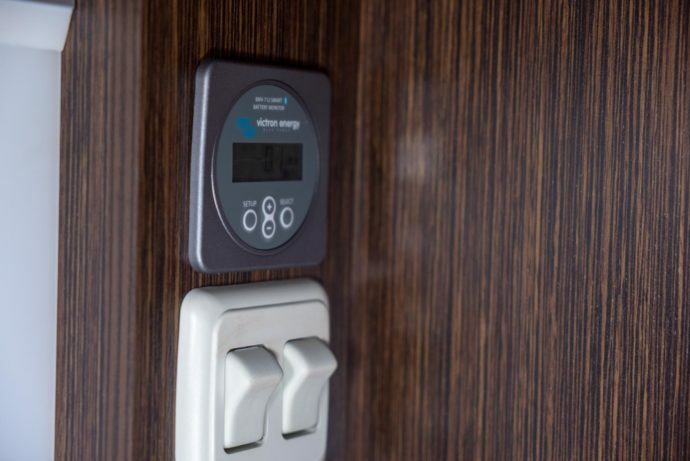 Usually it is preferable to mount the MultiPlus vertically for the best cooling. Also mounting is usually apart from the batteries however that is not key with Lithiums, but it is with lead acid type batteries. See the MultiPlus manual for more information for install recommendations. 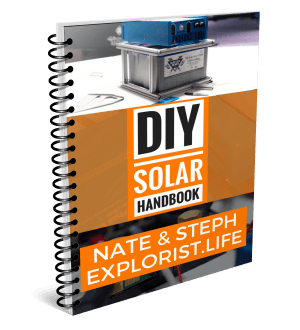 Click here (or the image below) for the landing page for your own ebook copy of Nate & Steph’s DIY Solar Handbook.